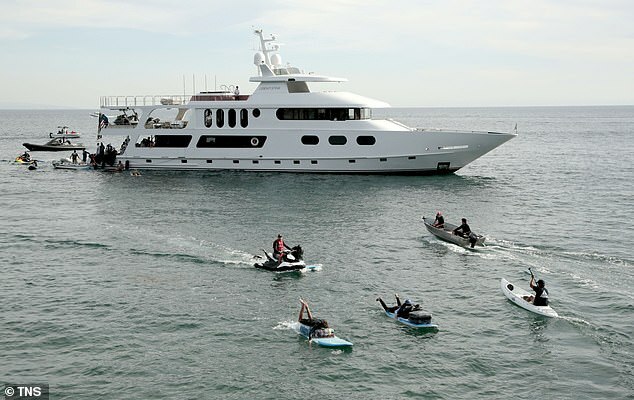 A group of volunteers teamed up with a billionaire winery owner and some surfers to help deliver supplies to people affected by the California wildfires — using a 142-foot yacht. 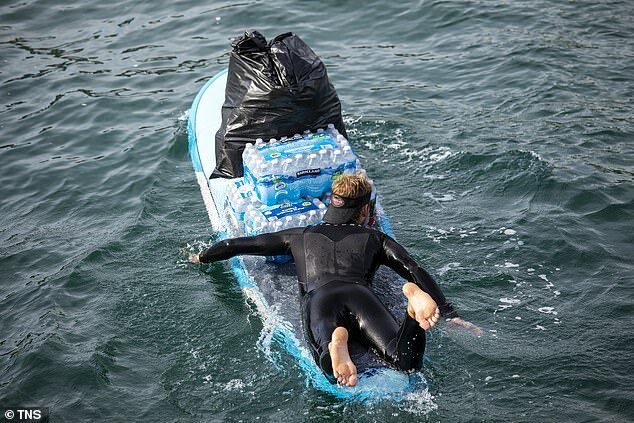 The makeshift supply mission, which was caught on video by local residents and reporters, went down Tuesday in the waters off Paradise Cove. 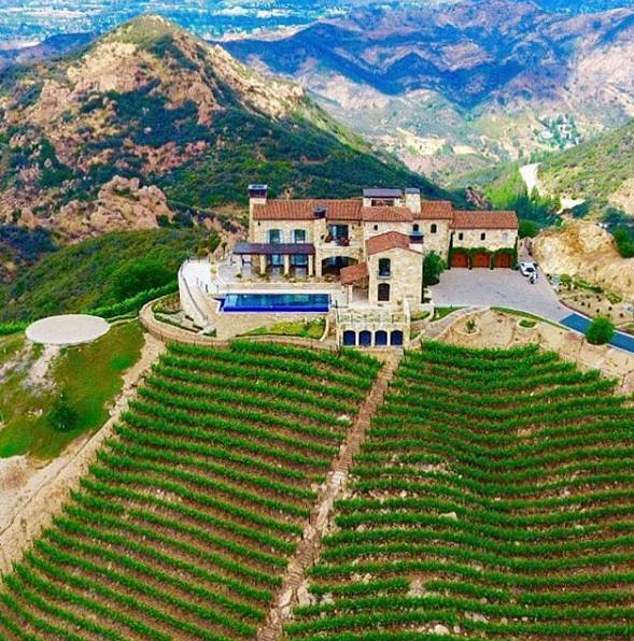 “Does it get more California than this?” wrote one Twitter user. 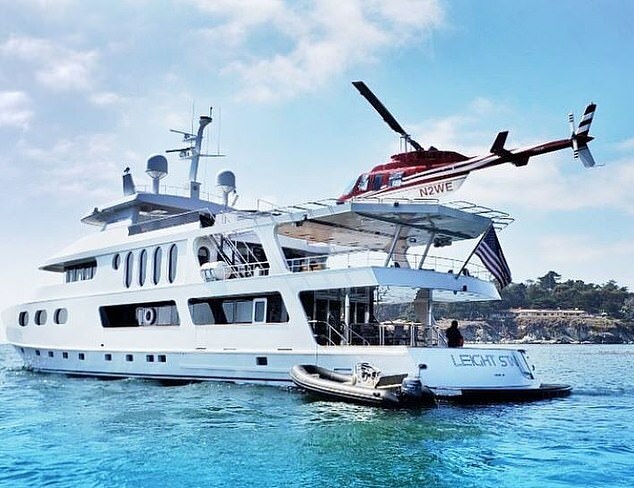 The yacht — which is valued at around $25 million and includes a helipad — was supplied by Howard Leight, co-owner of the Malibu Rocky Oaks winery. He had reached out to his friend Bill Kerbox on Monday and asked him to help organize everything using social media. 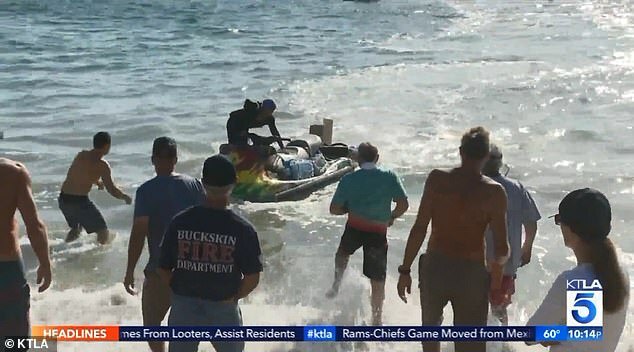 Cops told the group that they would not be allowed to ferry the goods to shore themselves, so surfers and paddleboarders who were in the area decided to do it for them. “If we’re not letting people in by land, we’re not letting them in by sea,” an LA County sheriff’s deputy said. But the locals would not be deterred. 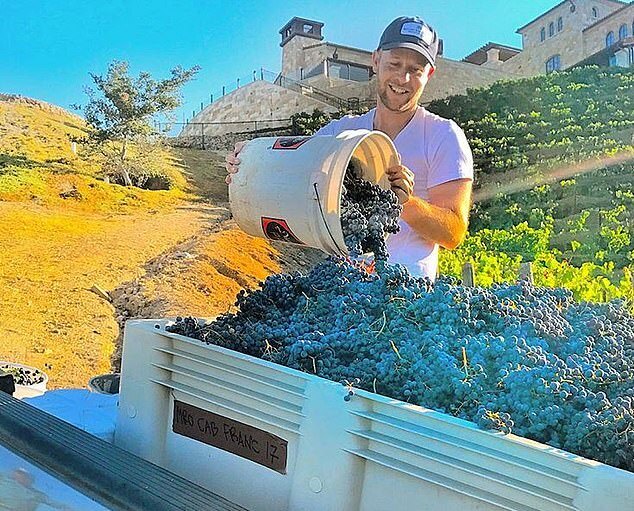 After several trips, Leight and his crew managed to unload all of their supplies and transfer them to land safely. 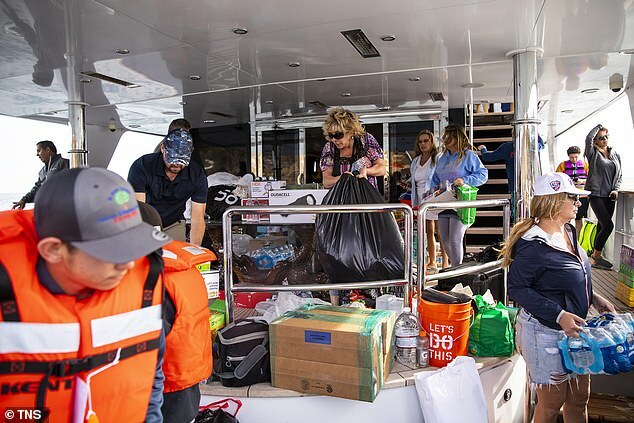 The load included around 3,000 bottles of water, 100 gallons of gas, food, shovels and — of course — lots of beer. 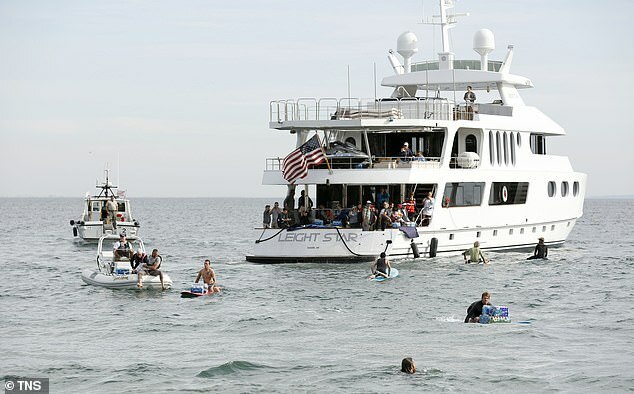 In fact, Leight’s yacht was reportedly equipped with a fully stocked wet bar.